Spring is finally here! All the blooming trees and flower bulbs in Wichita decided to show their magnificent colors this week. 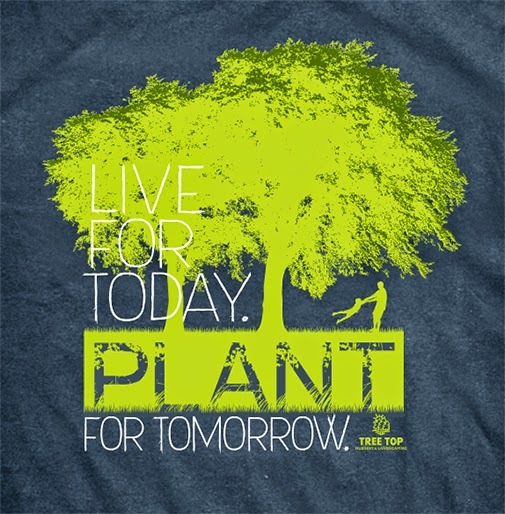 Which also means, it's time to get your 2014 Tree Top Nursery garden t-shirt. Good for 10% off all your purchases when you wear it to the store this year. Just stop by Tree Top and pick one up this weekend. And while you're there, could you pick up about 60 bags of mulch for me? I've got a little springtime sprucing up that needs done at our house. Here's a closer peek at this year's "Live for Today. 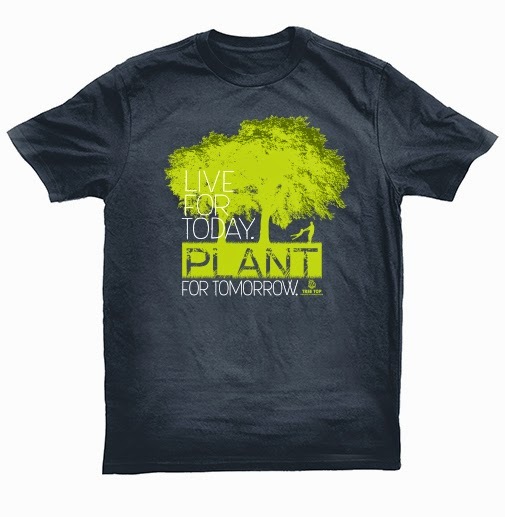 Plant for Tomorrow" design.